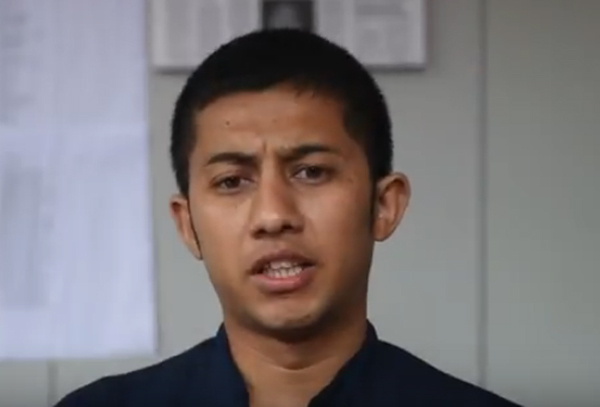 KATHMANDU, Aug 26: Former Maoist child soldier Lenin Bista has said that he feels unsafe from the state. He said that he is traumatized by thinking that the state might take any untoward action against him. He said he feels threat from the state at a time when he should have been protected by the state. Immigration officials on Friday morning stopped him from going to Thailand, where he was to attend a five-day event titled “Youth in Conflict Areas: Healing and Peace Building through Social Engagement”. 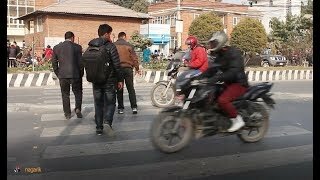 Stating that he was in custody for a year in a false accusation of call bypass, Bista said that he was once kidnapped for raising the voice for the child soldiers in 2012. Speaking with the civil society in the capital, Bista claimed that the government is against him as he raised the issue of child soldier. Speaking at the same program, political analyst Hari Sharma said that the majority government seems to be weak with its citizens. Sharma indicated that there is a collective fear and that people have to exercise their citizenship to keep those in power under check. Referring to various examples including barring vice-chancellor of Nepal Sanskrit University from flying to Canada, forcefully making doctors recommend the injured at home ministry, the attitude of security forces during hunger strike of Dr Govinda KC among others, the speakers said that the government is minimizing the rights of the citizens. Senior legal expert Dinesh Tripathi, advocate Om Prakash Aryal, editor of Nagarik Daily Gunaraj Luitel, editor of Subash Ghimire, security analyst Geja Sharma Wagle, Prem Sapkota and Rajan Kuikel among others were presented during the program.